To give you a preview of the some of the conference sessions you can attend, we’ve put together a list of some the key sessions in each business area. The video below focuses on the Network and Wireless Telecom industry. Learn how to reduce costs and increase both productivity and quality with AI driven Networks powered by GPUs. Manage the increasing complexity and real-time optimization of resources with AI based network operations. 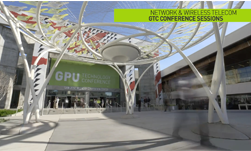 Discover how GPU powered 5G edge computing enables ultra-low latency cloud services and powers the needs of virtualization. Learn how to equip developers and serve your customers new and immersive experiences on the edge. Reinvent your wireless infrastructure and learn how to accelerate its performance up to 20X while unleashing the power of cloud native architecture. 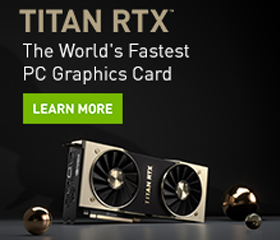 See why GPUs are the best for computationally intensive networks. To see all of the sessions in the AI In Telecoms sector, visit our GTC page.